ABSTRACT: Proxy marine microfossil (ostracod) records from strata along the southeast Australian coastline indicate a complex ocean current history for the Bass Strait seaway. During three time intervals (i) mid-Miocene (~ 16 Ma), (ii) latest Miocene (~ 6 Ma) and (iii) mid-Pliocene (~ 3.3 Ma), forceful pulses of the East Australian Current played a significant role in propelling the widespread distribution of subtropical Southwest Pacific ostracod species across southeast Australian shallow marine realms. During intervening Miocene times, subtropical species are only sporadically present across the Bass Strait region, indicating a weaker East Australian Current influence and the cooling effects of strong coastal upwelling. During the early Pliocene warm-water Southwest Pacific ostracod species disappeared from the western Bass Strait region suggesting the complete exclusion of East Australian Current waters. This was likely due to the counteracting influence of the eastward flowing Zeahan Current (extension of the Leeuwin Current) impinging for the first time on the western Bass Strait region. During the mid-Pliocene there was a short-lived, but widespread return migration of subtropical Southwest Pacific ostracod species into southeastern Australia via the East Australian Current, which correlates with a period of increased global mid-latitude warmth. Strong Miocene pulses of warm East Australian Current waters into the Bass Strait region are strongly correlated with terrestrial fossil pollen records in southeastern Australia that suggest the expansion of wet climate Nothofagus spp. in adjacent coastal and inland forests. Around the onset of the Quaternary (~ 2.5 Ma) global cooling, correlated with northern hemisphere glaciations, likely intensified the Bass Cascade – a cold eastward-moving winter current operating in Bass Strait. This lead to the extinction of warm-water marine Ostracoda within the Bass Strait region. 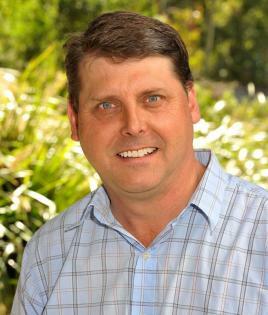 BIO: Mark Warne is a Senior Lecturer within the School of Life and Environmental Sciences at Deakin University. He undertakes research on living and fossil marine Ostracoda, palaeo-oceanography, palaeoecology and marine stratigraphy. His primary focus is the study of ostracod proxy records of maritime environmental change ranging the Miocene to Holocene time interval (23 million years ago to present day). His taxonomic studies include the description of most modern tropical marine Ostracoda of northern Australia. He sits on the International Advisory Board for the “Society of Friends of the International Research Group on Ostracoda”.